Starbucks has outlined a five-year plan to increase its global footprint by nearly 50%, adding 12,000 new stores worldwide by 2021. The aggressive growth strategy includes a heavy focus on China, where the Seattle-based coffee chain looks to triple its current operation. 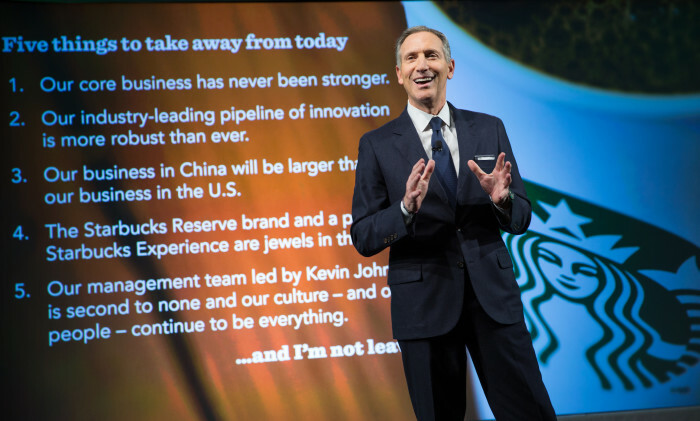 Speaking at the Starbucks biennial investor conference in New York City, Starbucks CEO Howard Schultz said China is one market that remains particularly attractive for the retailer. 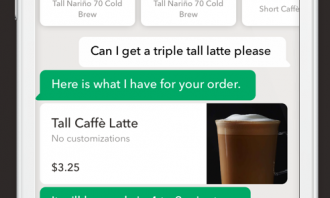 In terms of its tech, Starbucks announced that AI-enabled features will be included in the Starbucks Mobile App from 2017 onward. 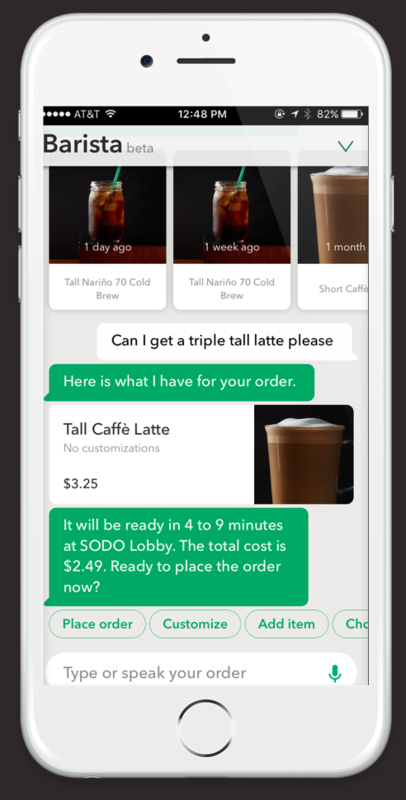 ‘My Starbucks Barrista’ allows customers to place orders through a chatbot, or hands-free with a voice command through the app. 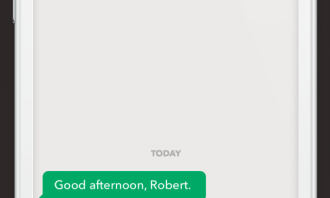 My Starbucks Barrista will be available on the iOS platform first, and only to a limited number of beta users in early 2017. 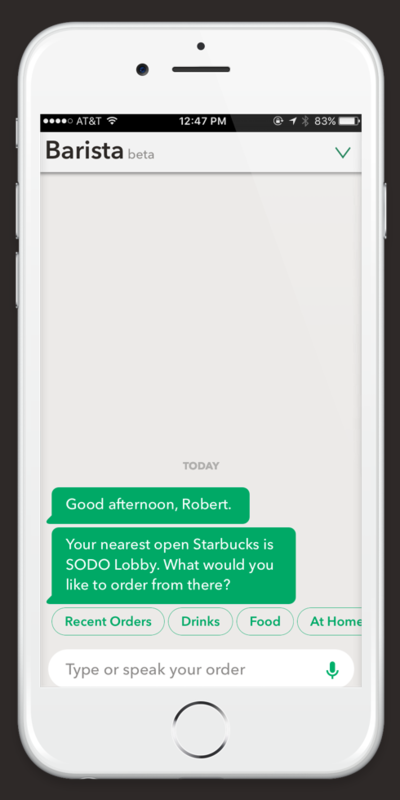 Starbucks reported that it has eight million mobile-paying customers now, with one in three using Mobile Order & Pay. Schultz announced last week that he would step down as the company’s CEO in order to build up the company’s high-end business Reserve Roastery and Tasting Room, on a global scale. The company also plans to open a Roastery and Tasting Room in Shanghai next year, followed by launches in Tokyo and New York City in 2018. China remains the company’s fastest-growing market and management sees revenue and operating income nearly tripling there over the next five years. Starbucks, which has been doing business in China for 17 years, said it aims to add 5,000 new stores there in addition to the 2,500 already open. “Despite our early success, we are only in the beginning chapters of our growth story,” Starbucks China CEO Belinda Wong told analysts Wednesday. Wong said urbanisation and an emerging middle class in China will help drive the rapid expansion of the specialty coffee market. Management also sees a “huge potential” in China with Teavana, the company’s tea brand. According to Wong, more than 230 million people in China have been lifted into the middle class in the past decade due to the Asian nation’s booming economy, and over the next six years she said another roughly 300 million people will also attain middle-class status. Meanwhile, the coffee chain will introduce the use of WeChat Pay for purchases in its retail stores across China in an effort to elevate the in-store experience for customers. Starbucks customers will also be able to use WeChat Pay to make purchases at close to 2,500 Starbucks stores across the country. 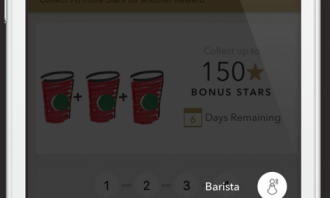 It will also allow customers to give Starbucks products to friends via the app, the feature builds off WeChat’s red envelope feature, which is based on a Chinese gifting tradition and lets people send money to family and friends digitally. In the US, Starbucks is (belatedly) introducing a Pokemon-themed drink; a blueberry and raspberry variant of its Vanilla Bean Frappucino. And as the cherry on top of this massive announcement cake, Starbucks announced sous vide egg bites, organic soup, fresh salads and gluten-free sandwiches to be added to shop menus in January 2017. The sous vide egg bitesare prepared using airtight bags, which are then heated in a water bath at a consistent temperature. Once a revered broadcaster seen in a national leadership role, the BBC has seen its role evolve as it became an independent media ..